CIMRO’s Board of Directors, its leadership team and staff value our reputation and always strive to do the honest and honorable thing. Our Code of Business Conduct and Corporate Compliance Program are the driving forces behind any activity that CIMRO undertakes. We insist on the highest ethical and moral principles from all of our staff and peer reviewer consultants. Should we make an error, our pledge is to acknowledge and commit to correcting any mistake or inaccuracy. 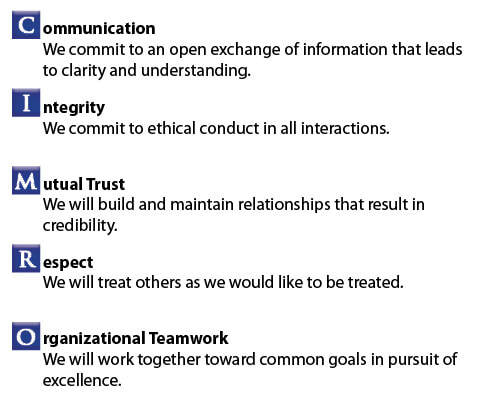 We abide by our established CIMRO values.